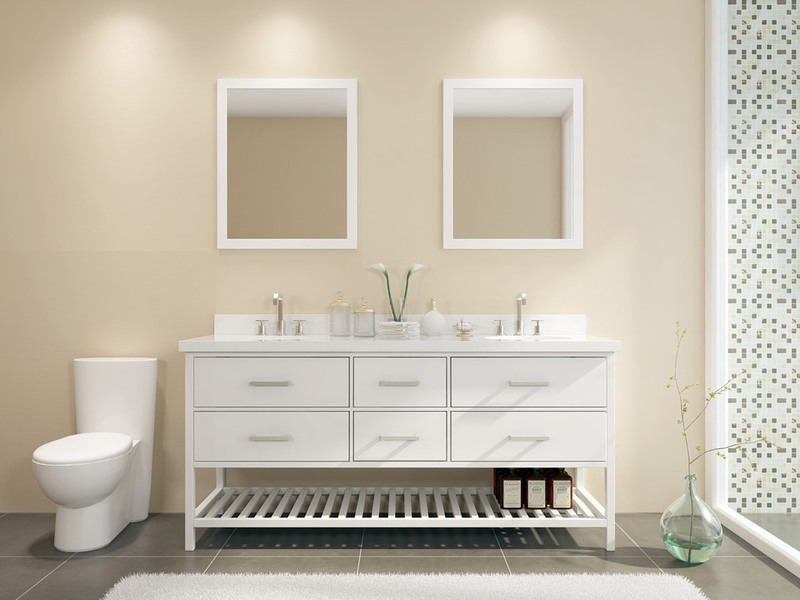 The Shakespeare vanity set series from Ariel Bath offers convenient storage that will not disturb the elegance of bathroom décor. The white quartz countertop sits above solid wood cabinets. Below the cabinets you will find uncovered storage shelves. Matching framed mirrors accompany this beautiful design.